Gibson GB-3 Model Guitar Banjo (1926), made in Kalamazoo, Michigan, serial # 8324-10, brown lacquer finish, laminated maple rim; maple neck with ebony fingerboard, original black hard shell case. 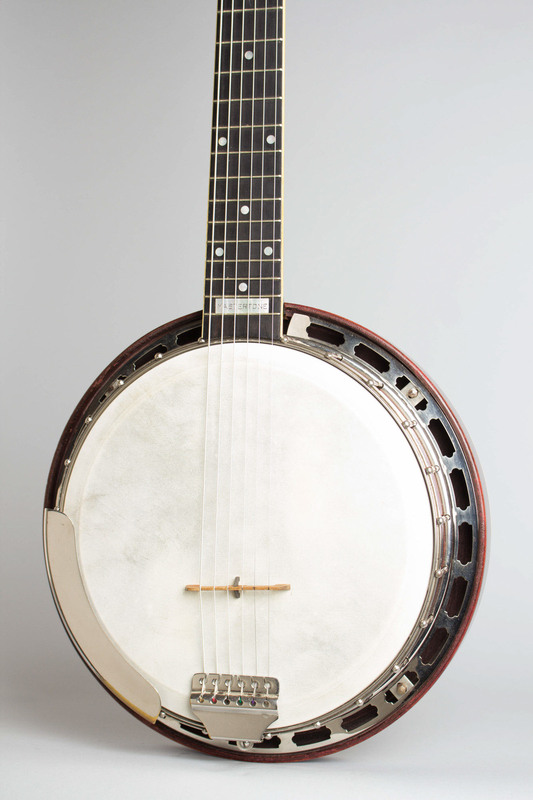 Here is a nice example of one of Gibson's most elusive creations: the six-string Mastertone banjo. 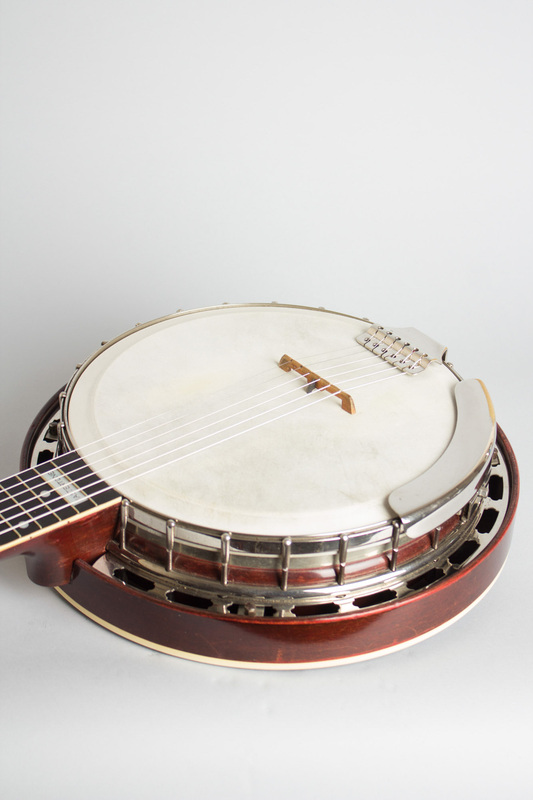 This is a very rare instrument, even more so than the earlier "trap door"-style guitar banjos built prior to 1925. This one was made around early 1926, one of a very few batches of six-strings ever completed. 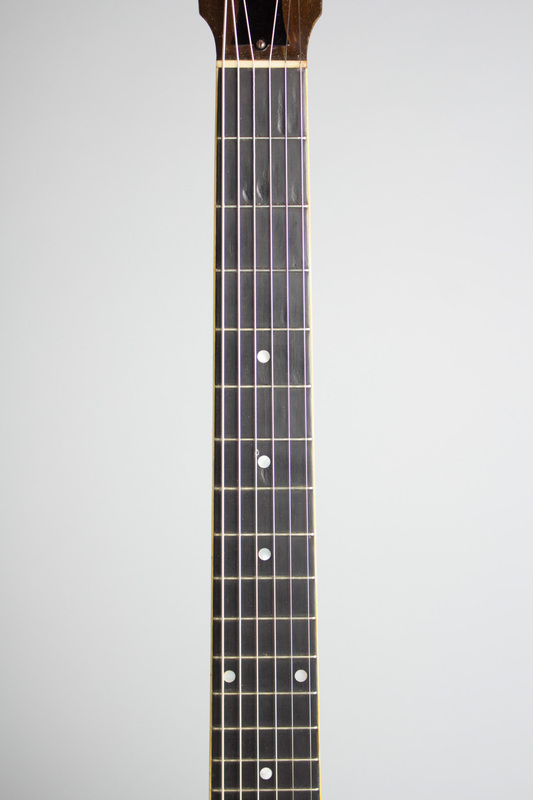 This is a full Mastertone rim, equivalent to the TB-3 from the same year with a two-piece tube-and-plate flange and spring-loaded ball-bearing arch-top tone ring. 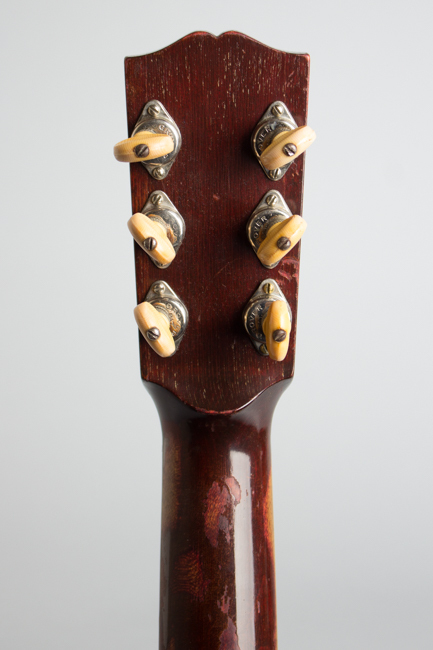 The neck is a substantial round-backed affair with a bound dot inlaid ebony fingerboard and a guitar-shaped headstock with "The Gibson" inlaid in pearl script and six tabbed Grover tuners. 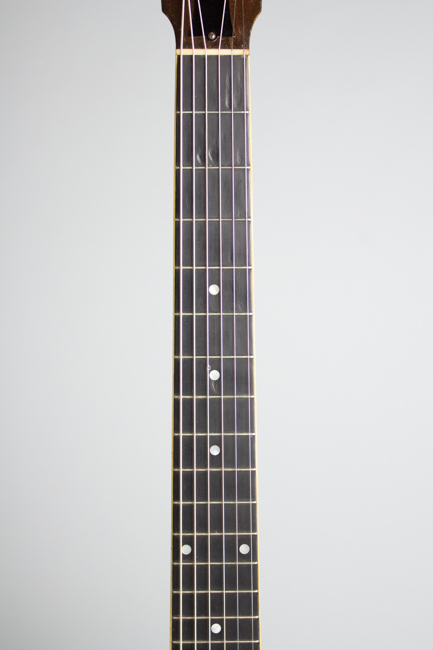 All standard Gibson hardware is present, including the special six-string Kersher Unique tailpiece used on this model. Seminal early country fingerpicker Sam McGee used one of these GB-3s to back Uncle Dave Macon live and on disc and recorded several of his most famous pieces with it, while in more recent years this model is associated with Neil Young. 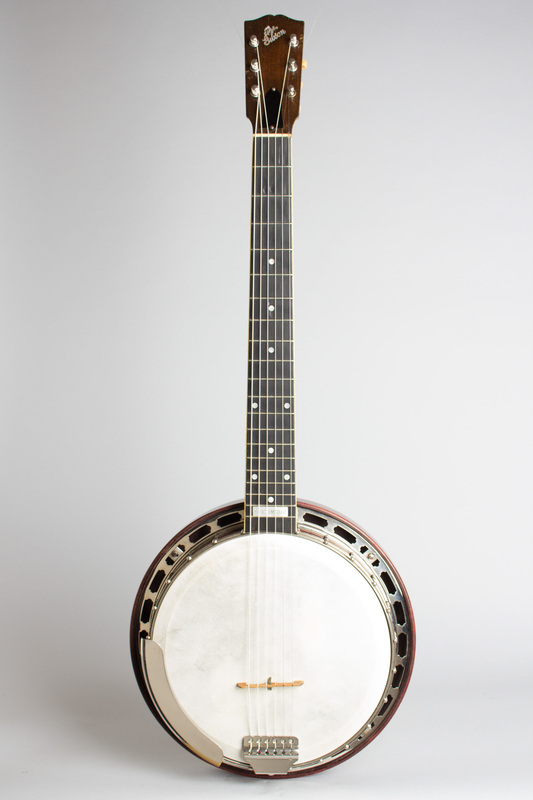 One of the coolest of Gibson rarities and certainly one of the best banjo-guitars extant. Interestingly, this is the second GB-3 from this exact 8324 FON batch we have had. Overall length is 36 3/8 in. 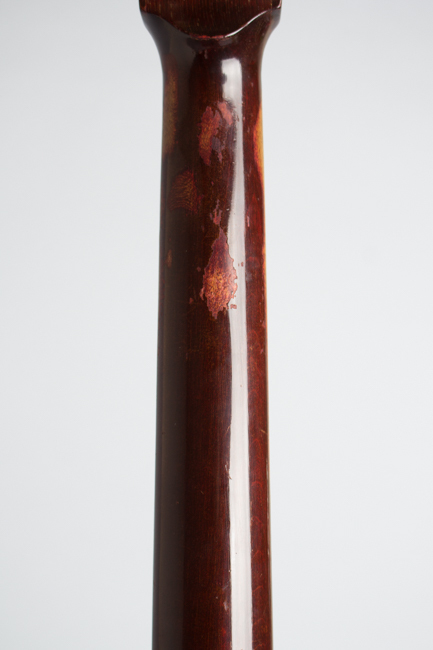 (92.4 cm. ), 11 in. (27.9 cm.) diameter head, and 3 1/2 in. (8.9 cm.) in depth, measured at side of rim. Scale length is 25 in. (635 mm.). Width of nut is 1 13/16 in. (46 mm.). This early GB retains all of its original finish and hardware with some overall wear, but no alterations. 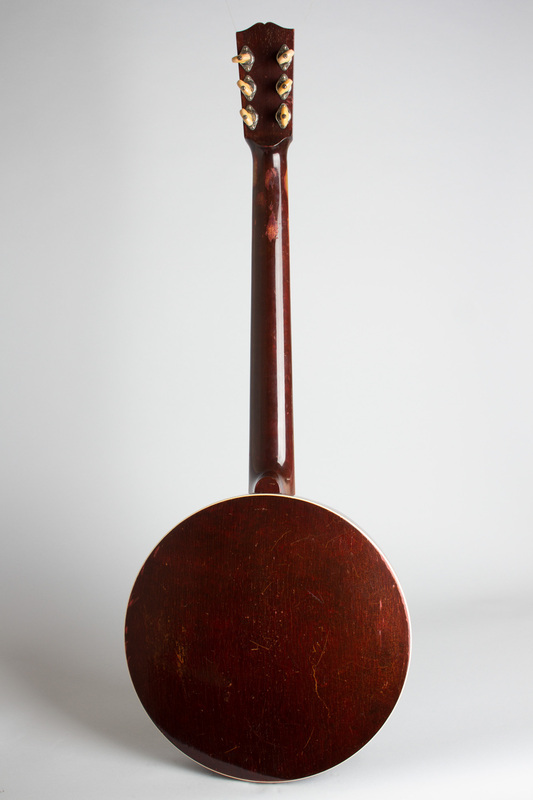 The neck finish is worn to the wood in spots on the back mostly in the first position -- that is the only area the original owner seems to have used. 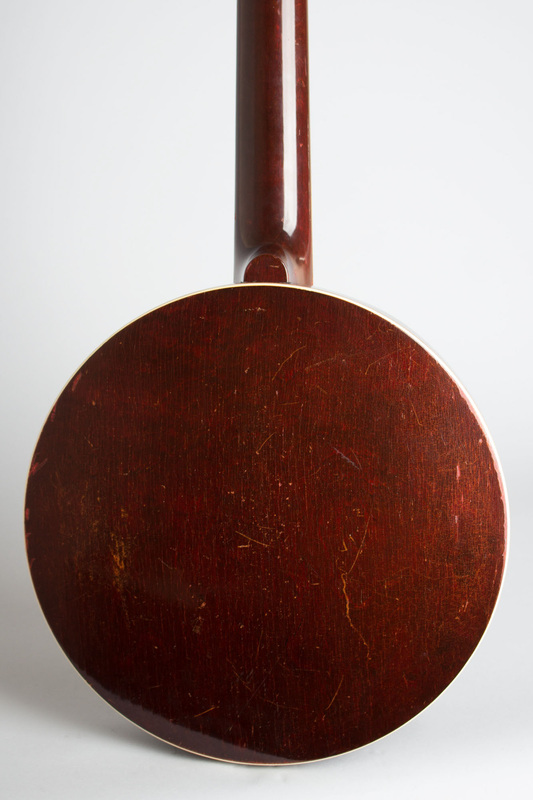 There are some divots to the fingerboard in the same region, and the first three frets have been expertly replaced to match the rest. The finish overall shows dings and dents and the plating is mostly intact except on some of the hooks and the armrest. Overall a nice-playing, great-sounding example with the somewhat ethereal "reverby" sound only the ball-bearing banjos offer. 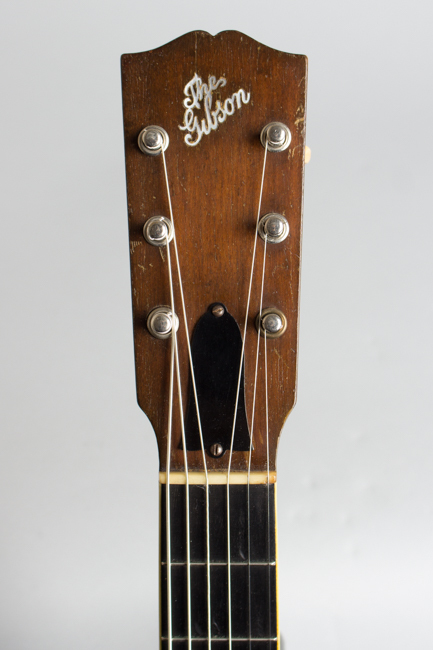 Comes complete with the original HSC, which is also correct for a Plectrum or 5-string. Excellent - Condition.